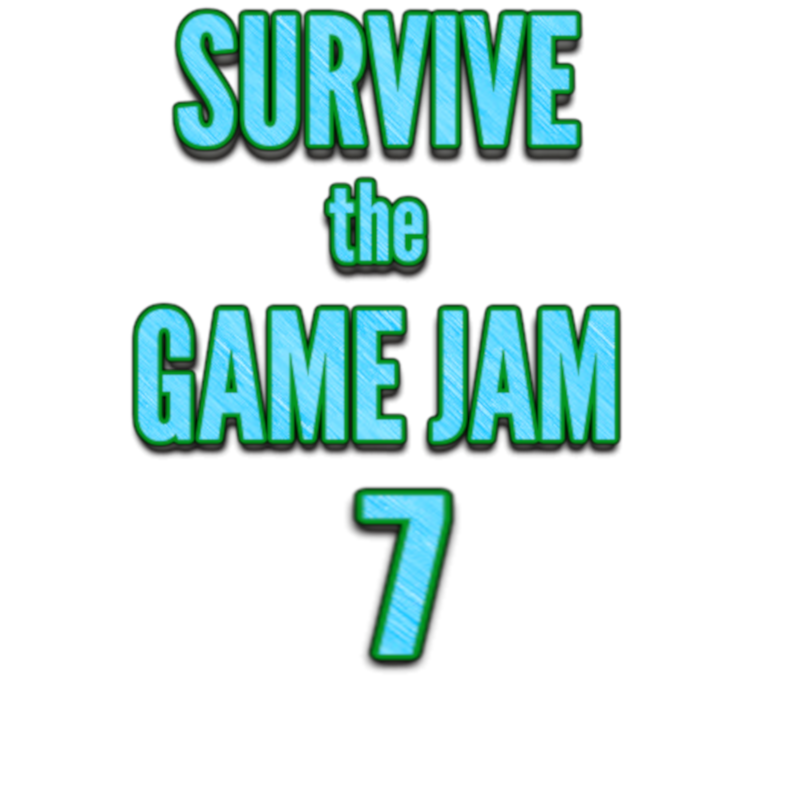 Welcome to Survive the Game Jam 7!!! Previous Jam: (https://itch.io/jam/survive-the-game-jam-6) Go Vote!!! Survive the Game Jam is essentially a weekly game jam focused on creating unique and fun survival games in 72 hours. During Survive the Game Jam you must create a true survival game matching the theme, to come up with unique and fun game mechanics. The 72 hours takes place over a weekend. In my timezone it starts at 12am Friday morning and ends 12am Monday morning. My timezone is NZDT so just use a timezone converter or just check the Game Jam page for when it starts. The Theme is announced just before it starts. You may use any royalty free assets, as long as you credit where credit is due. Be Friendly in the Community Section. Currently no prizes will be rewarded to the winners, this is just a casual jam for fun. It is "ranked" but that's just for fun as well. There are no rewards for winning, at this stage. If any Youtubers or Streamers would like to play the entries for this jam, let me know and I can create a list, for people to find you, and watch you play their games.